The plant will close in two years, according to the owner. The Three Mile Island nuclear power plant, site of the United States' worst commercial nuclear power accident, will shut down in 2019 without a financial rescue from the state of Pennsylvania, according to owner Exelon Corp.
Chicago-based Exelon issued a press release announcing the planned shuttering of the plant, near Harrisburg, Pennsylvania. The nuclear power industry has been hurt financially by a natural gas boom fueled by a rise in fracking. 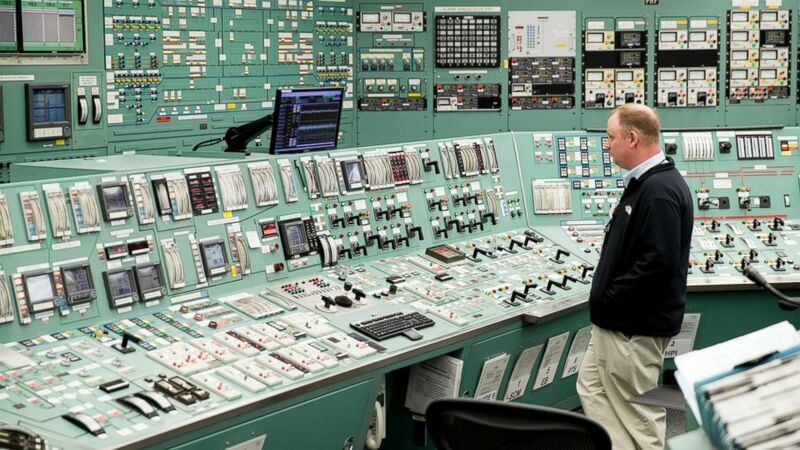 (Matt Rourke/AP) This May 22, 2017 file photo shows the control room at the Three Mile Island nuclear power plant in Middletown, Pa.
Three Mile Island was the site of a partial nuclear meltdown in one of its two reactors on March 28, 1979, which led to increased public concern about the safety of nuclear plants. The accident occurred less than two weeks after the release of a Hollywood thriller, "The China Syndrome," about a fictional meltdown at a nuclear reactor. William Whittock, a Harrisburg resident, told ABC News in a 1979 broadcast that a "geyser of steam" erupted from the top of the plant. 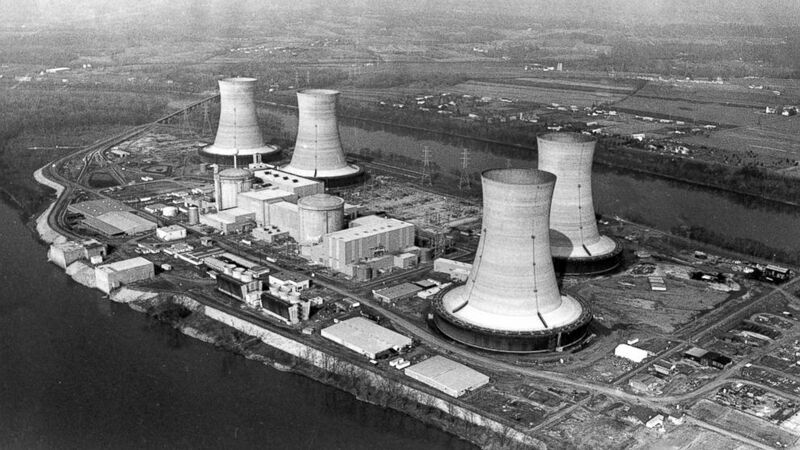 (Barry Thumma/AP) This March 30, 1979, file photo shows an aerial view of the Three Mile Island nuclear power plant near Harrisburg, Pa.
"I heard a very loud noise that sounded like a huge release of steam," Whittock said at the time. "I looked out the window, and it was dark, but you could see from the lights that there was a geyser of steam rising up in the air." Workers were evacuated from the plant and then "checked and rechecked" for radiation contamination, ABC News reported at the time. A cleanup after the accident took 14 years, according to a 1993 report in The New York Times. The reactor damaged in the accident has been closed since then, but the other reactor is still in use.